Thanks for coming back for another Valley Yarns Show and Tell! Valley Yarns 464 Bittersweet Pullover is a long and lovely sweater knit in the round from the top down. 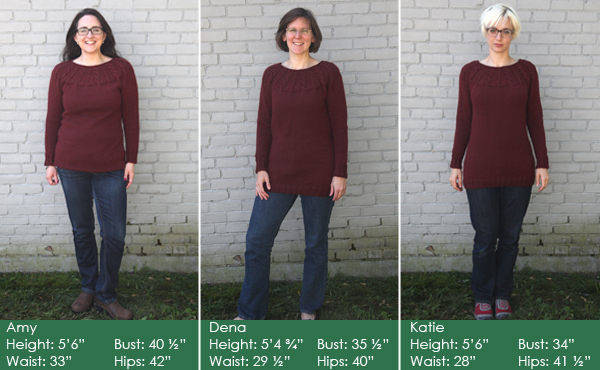 Simple, elegant cables are worked into the round yoke. It is knit in Valley Yarns Sheffield. We tried on the 36” size. Almost all of us thought that this should be a lot shorter for our shapes. Katie suggested making it longer and wearing as a dress, or shorter to wear as a sweater. Ashley and Emma were big fans, but Emma would make the sleeves ¾. We all loved the cozy softness of the yarn. At WEBS, we’ve ramped up our knitting and crochet and are now in prime gift making mode. Here’s a peek at a few of the projects we’ve been busy with or buzzing about making this holiday season. There’s something extra special about giving someone a hand knit sweater. Sweaters take more time to make than a scarf, mittens or a hat, and they get worn pretty often. 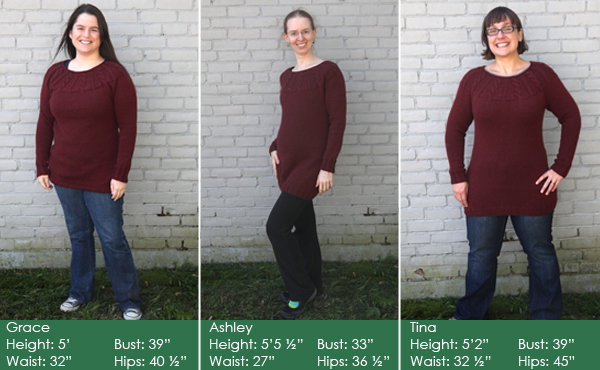 Making a sweater for a man can be a tricky task. It can be tough to figure out just what they would actually wear. I got around trying to figure out what he would like by just asking him! I gave my recipient three patterns to chose from, and then let him pick the color for the yarn. I ended up with a pretty simple project, Knitting Pure and Simple Neckdown Pullover for Men in Valley Yarns Northampton in Dark Grey. It might not be the most exciting project to knit, but I like having a simple project on hand to knit at the movies and for some relaxation. It’ll be completely worth it when he unwraps it and I see it get plenty of wear. > Grace H.
I needed a special gift but one that was quick and easy. 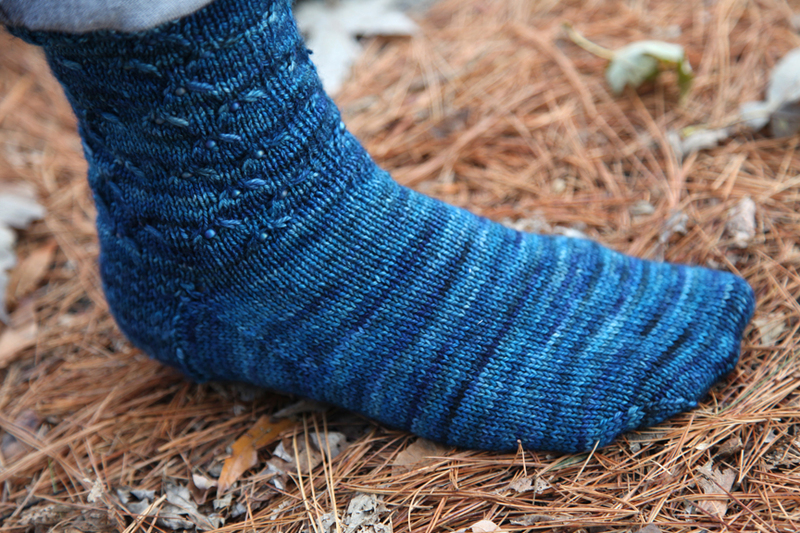 I found it in Dream in Color Smooshy with Cashmere yarn Rain Drops Beaded Socks (free pattern on Ravelry!). I chose color 505 Dark Current and matching beads. With the softness of cashmere, the strength of merino wool and nylon, and colors that blend beautifully these socks are beautiful, luxurious and durable. I planned on making only 1 pair, but I love the easy pattern and yarn so much I can’t wait to begin another pair! > Linda B. The Gnomey Earflap Hat makes a great holiday project. 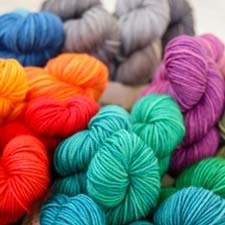 Since it only takes 2 balls of Valley Yarns Cold Spring, it’s an affordable way to pamper yourself or a loved one this season. If you’ve never done stranded colorwork before, don’t fear! 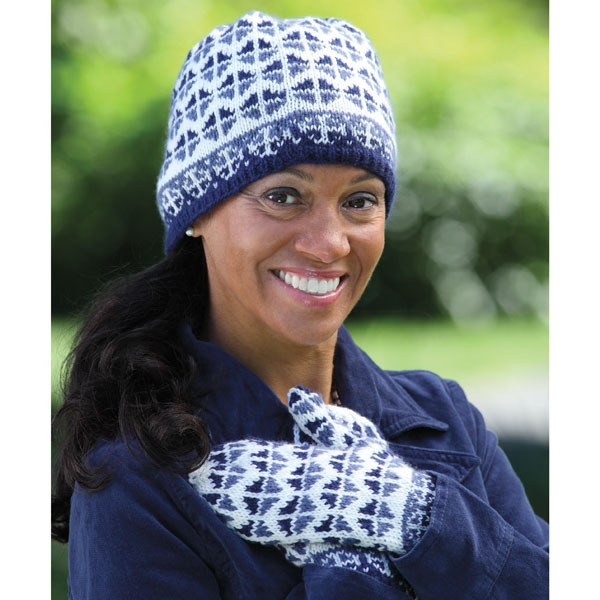 This hat features a large and easy motif that flies off your needles, and the earflaps are perfect for cold weather. Warm ears, warm heart–isn’t that how the saying goes? > Emma W.
Shibui Draper is a sweet little shawlette that knits up quickly with just two skeins of the lovely Shibui Staccato. I really enjoyed knitting our store sample. > Greta S.
I love the twist and the silk slubs of The Fibre Copany Acadia and the slighter than dk-gauge this yarn has to offer. The color choices and combinations are intriguing. 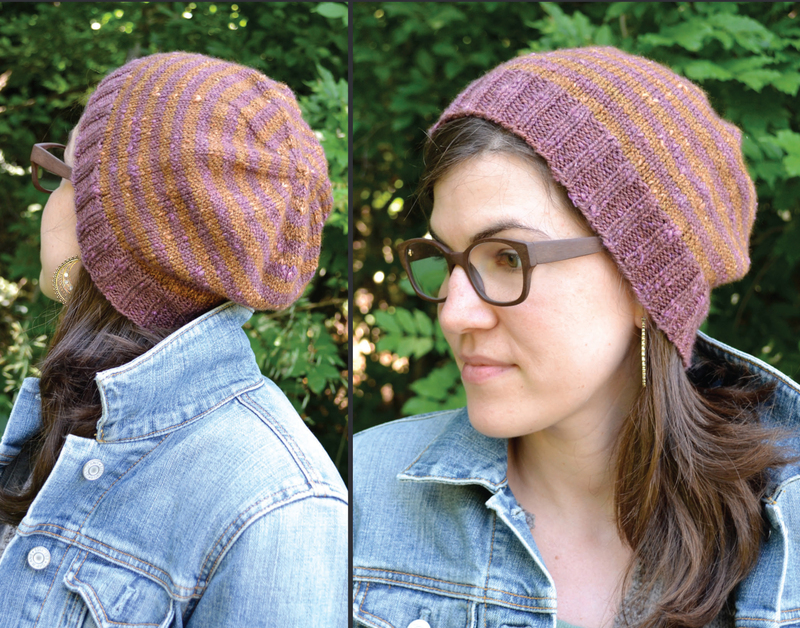 Knitting the Katahdin Hat was a treat: not only is it a free download pattern, but it offers an interesting technique for striping in the round, one that I had never used. The stripe sequences were seamless, and no “jog” in the stripe when you change colors. The slight slouch to the design is so current and looks adorable. 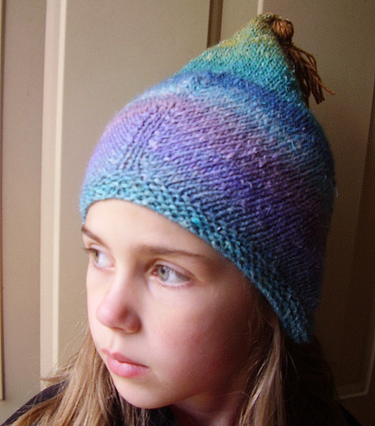 This hat was simple, but fun to make – you will want to make more than one, guaranteed! > N. P.
Anzula Cloud is lofty and squishy in a lovely semi-solid variegation. 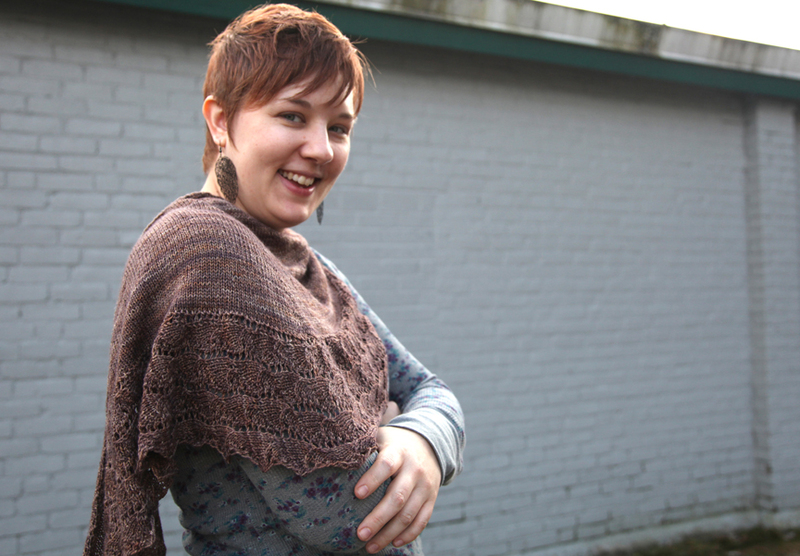 The Aecor shawl is worked from the center top down with a knitted on border. The drop-in ladies were ooh-ing and aah-ing over this, so I know it’s not just me! > Cara S.
Simple stranded knitting and fuzzy, luxurious Valley Yarns Sheffield make this Snow Day Hat and Mittens set a really special winter time treat. 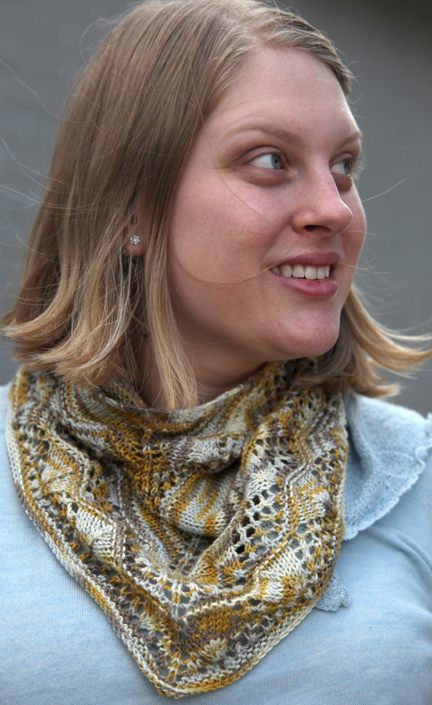 Since color work is so visually impressive, I think these would make a great gift for knitters and non-knitters alike. 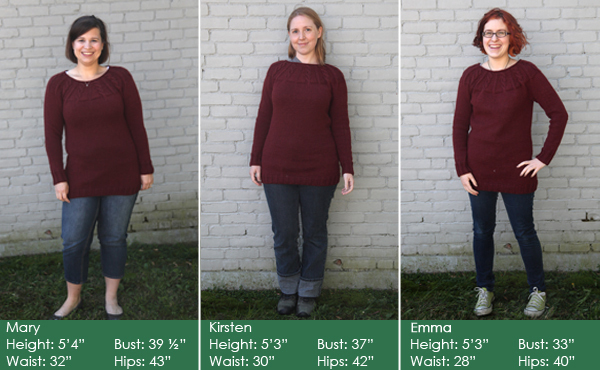 > Kirsten H.
Elizabeth Zimmermann’s Knitters Almanac is always a go to pattern book for me when the holidays roll around. The Ganomy Hat and Mitered Mittens make such a great set and have been gifted to almost ever child in my family. Noro Silk Garden does magical things when worked up in those two patterns. > Sara D.